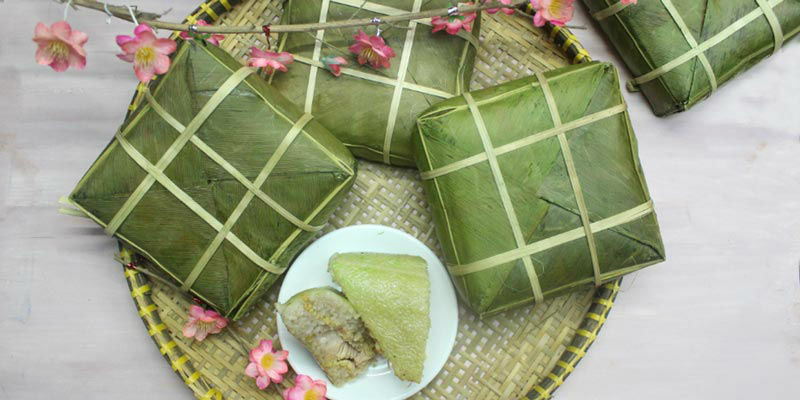 Banh chung is a traditional Vietnamese rice cake which is made from glutinous rice, mung beans, pork and other ingredients. 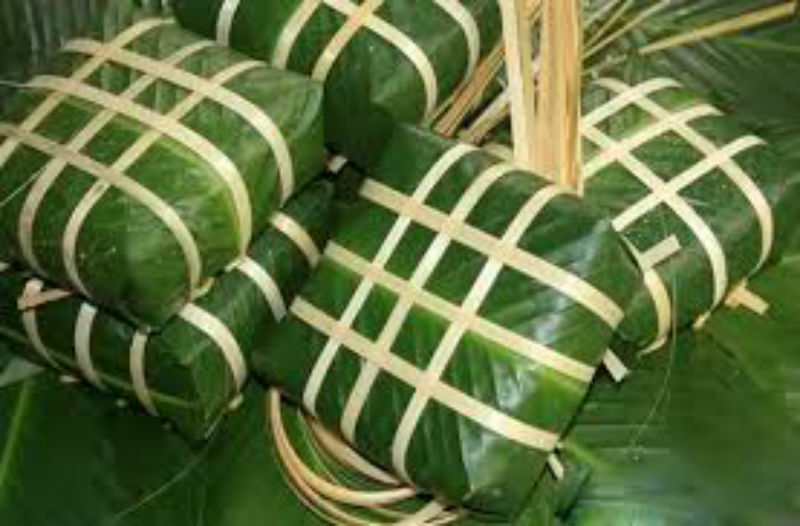 Its origin is told by the legend of Lang Lieu, a prince of the last king of the Sixth Hung Dynasty, who became the successor thanks to his creation of banh chung and banh giay. 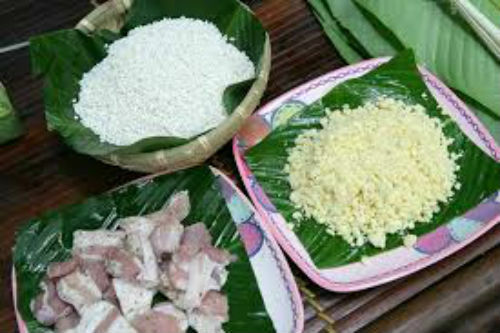 Step 1: Add 4 tablespoons of salt to the sticky rice, cover with water and soak overnight. 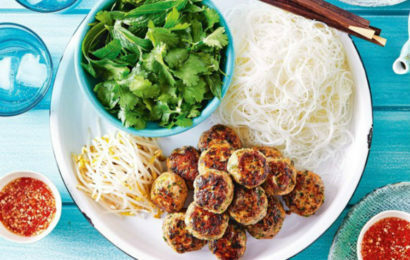 Add 2 tablespoons of salt to the mung beans, also cover with water and soak overnight. 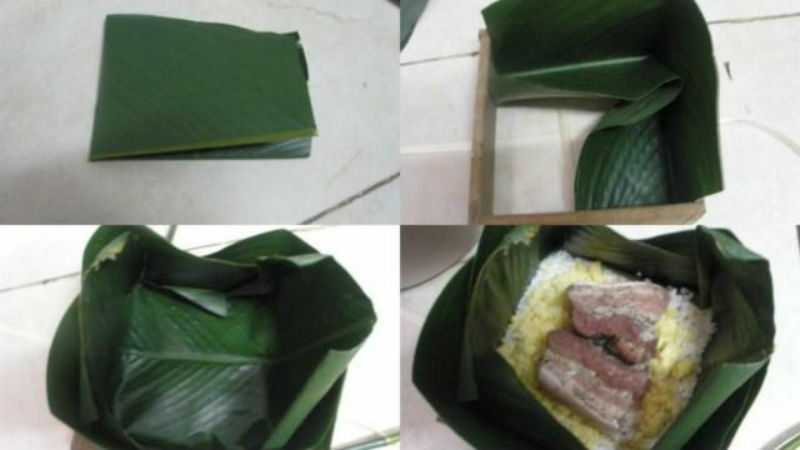 On the next day, drain both the sticky rice and mung beans separately. Add 1 tablespoon of salt and 1 tablespoon of sugar to each. 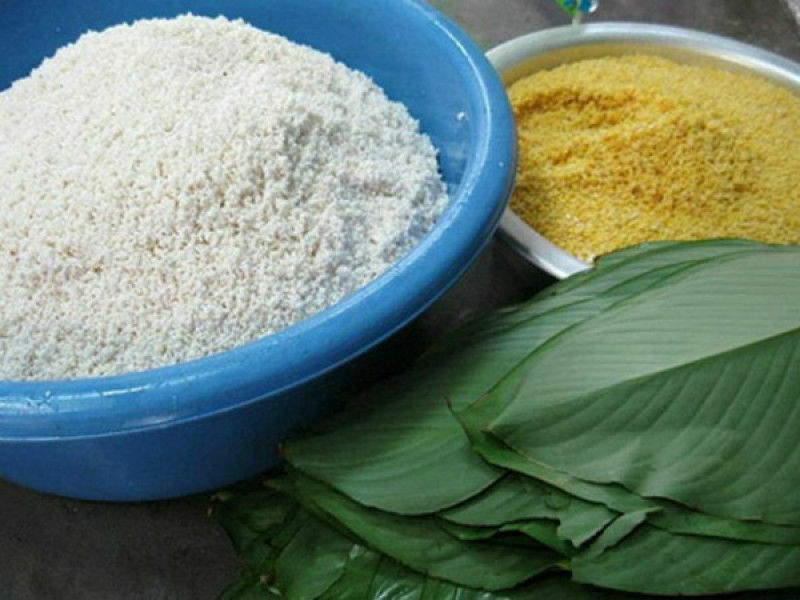 Mix each well and store separately. 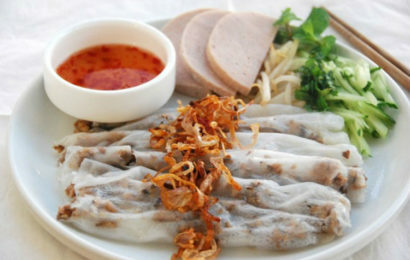 Soak the dong leaves in hot water to soften. 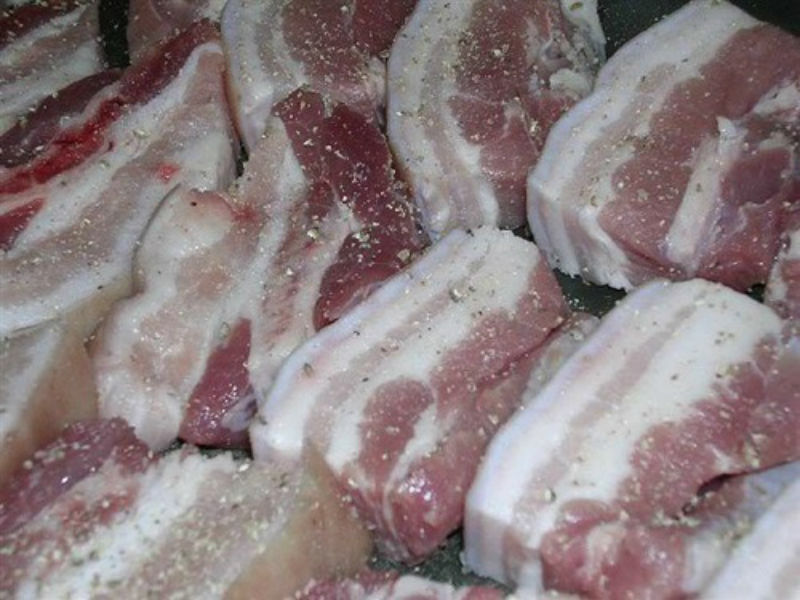 Step 2: Season the pork with 1/2 tsp salt, fish sauce, 1.5 tsp pepper, and shallots. Step 1: Trim the dong leaves, removing the tough stem and tip. Step 2: Place a string at the bottom of the mold. 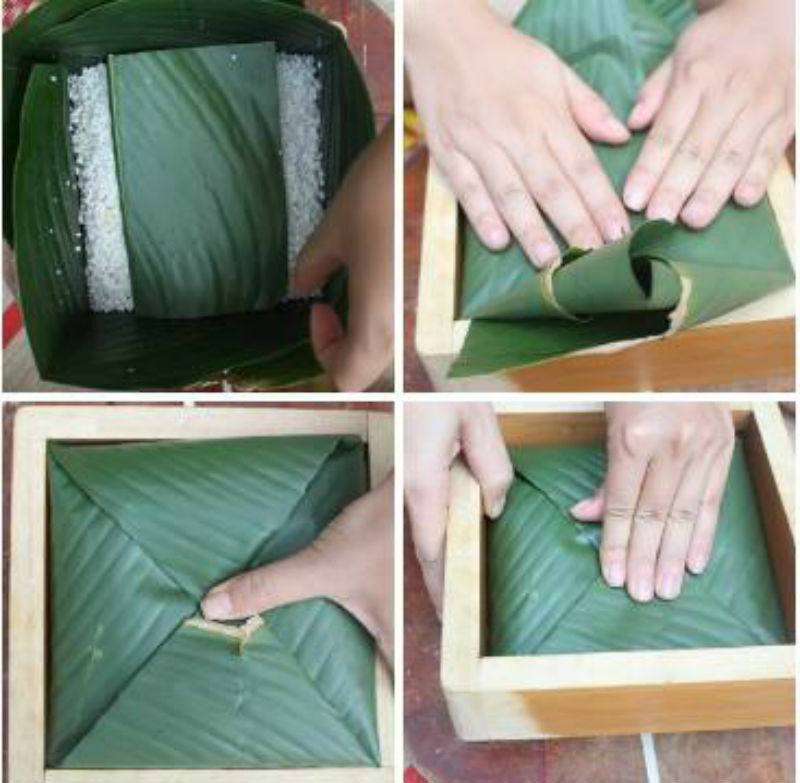 Place two leaves number 1 & 2 in one direction, slightly overlapping to cover the width of the mold. 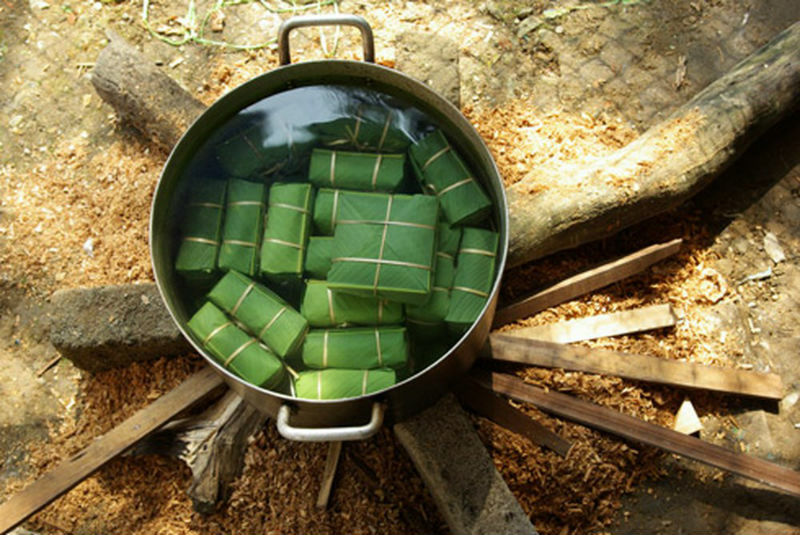 Step 3: Place 1 bowl of sticky rice on the leaves, ensuring the rice is distributed evenly to the corners. 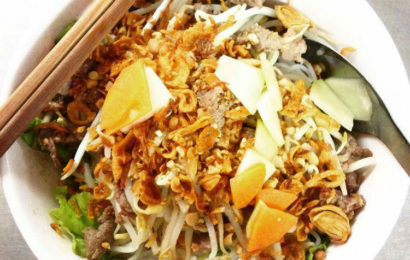 Top with 1 cup of mung beans, layer on top with pork, then add another bowl of beans, followed by a bowl of rice. Step 4: Press down with a spoon to condense the filling and ensure the surface is flat. 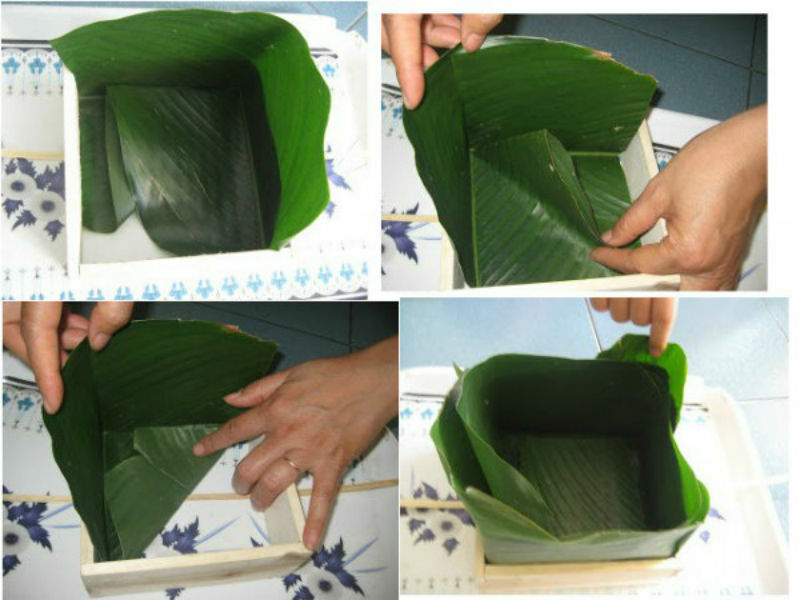 Step 5: Tie the cake firmly with the string, crossing over at the back and moving down 1/3 each time until you’ve formed a grid-like pattern and the leaves are not loose. With the remaining string, connect the first and the last lines to create a handle. Place in a large pot, pour hot water to cover the cakes and boil for 3 hours. Add hot water every hour if necessary. After 3 hours or so, remove the cakes, submerge them into cold water and wash them one by one for a few minutes. Drain and leave them on a hard and flat surface, weigh them down with something heavy to keep shape, until they are cool. To be eaten at room temperature or pan-fried for a crisp crust.